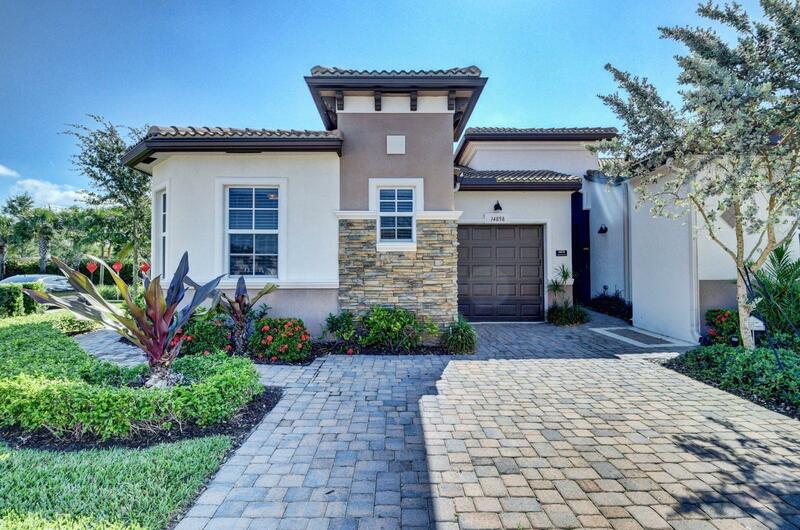 Experience resort-style living in this stunning villa, located in Villaggio Reserve. Much sought-after Polina model end-unit features luxe upgrades and designer finishes, incl. vaulted ceilings, crown molding, plantation shutters, solar shades and ceiling fans. Private front entrance; den with double French doors. Main closets with built-ins. Gourmet kitchen boasts upgraded granite and top-of-the-line stainless steel appliances, seated peninsula. Owner's suite w/ designer carpet and spa-like double-vanity bath. Paver lanai with access to outdoor seating area and lovely rock garden. Dining room chandelier and some furnishings negotiable. 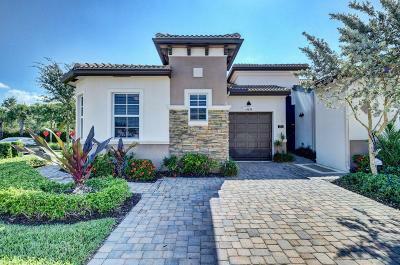 Gated Villaggio Reserve features clubhouse, cafe & theater w/ year-round live entertainment, swim & tennis, games courts & state-of-the-art fitness studio. Listing Courtesy of EXP Realty, Inc.